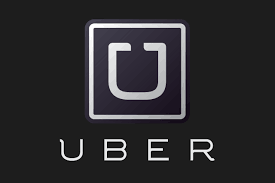 Uber Technologies Inc. is an American multinational online transportation network company headquartered in San Francisco, California. It develops, markets and operates the Uber mobile app, which allows consumers with smartphones to submit a trip request which is then routed to Uber drivers who use their own cars. As of May 2016, the service was available in over 66 countries and 449 cities worldwide. - Support the daily operations through team coordination, operational oversight and data analysis. - Train Experts in the handling and escalation of more difficult onboarding and support interactions. - Manage scheduling, attendance, and general administration of Uber Experts. - Train, coach, and guide Experts to drive quality and efficiency metrics. - Own facility issues such as supplies, utilities, and branding. - Improve processes on behalf of Uber Experts and partners. - Actively contribute to the GL program through independent and team based project work. - People Management: effectively manage and motivate a team. Support team members to achieve performance goals. - Data Analysis: understand operational data from your GL and city to identify areas of opportunity. - Adaptability: manage a team and operation in a constantly changing environment. Make swift decisions and pivot processes when necessary. - Communication: articulate your thoughts with stakeholders ranging from your team to the toughest delivery-partners to Senior Managers at Uber. Work well/effectively with your city team. - Problem Solver: think creatively to come up with out of the box solutions to tough problems. Prioritize projects based on the needs of the business and their Greenlight location. Identify the root cause of the problem and create a process to fix/improve. - Organization: effectively manage a million different moving pieces that pertain to the operation of the GL. - Action first: have a bias to action. Be quick both to experimentation and to correct course when necessary. Run the center with a “can-do” attitude and be passionate about driving the success of the Greenlight location. - Vision: identify strategic ways to expand use cases and increase value in his/her Greenlight Hub over time.